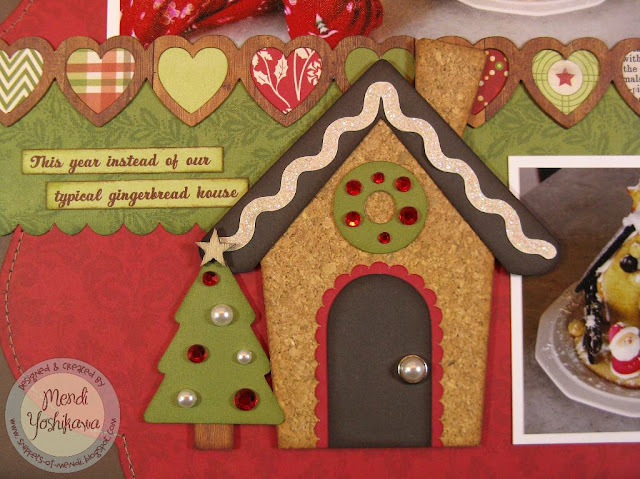 For the focal gingerbread house focal point I borrowed some cork print paper from Lori's Note to Self collection and then set to work embellishing it with rhinestones, pearls and a wood star from Studio Calico. I finished it off with a little Stickles added to the icing diecut for some extra sparkle. 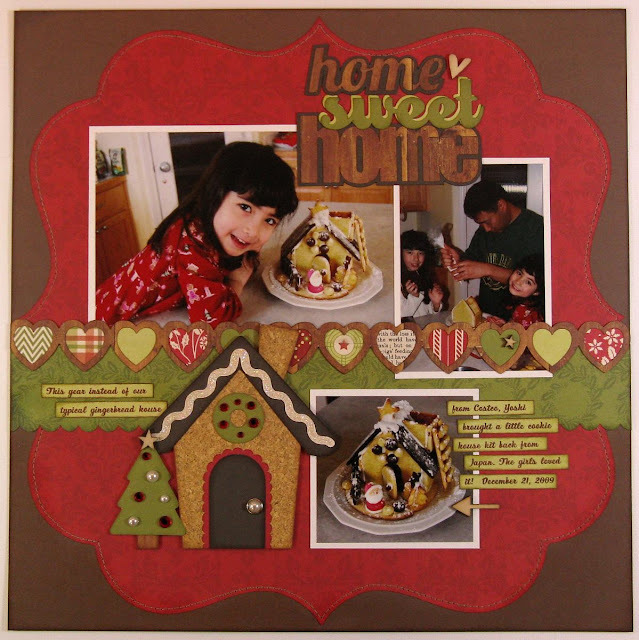 I happened upon Lori's awesome Valentine's Day Heart border and thought it could be transformed onto a fun accent for this Christmas page. I love how it looks cut from the wood print paper and how it showcases so many of the papers from this collection without making it feel too busy. So cute...love the cork paper gingerbread house with the fun embellishments and the wood grain paper for the hearts and title...makes for a simply adorable layout! Gorgeous page! 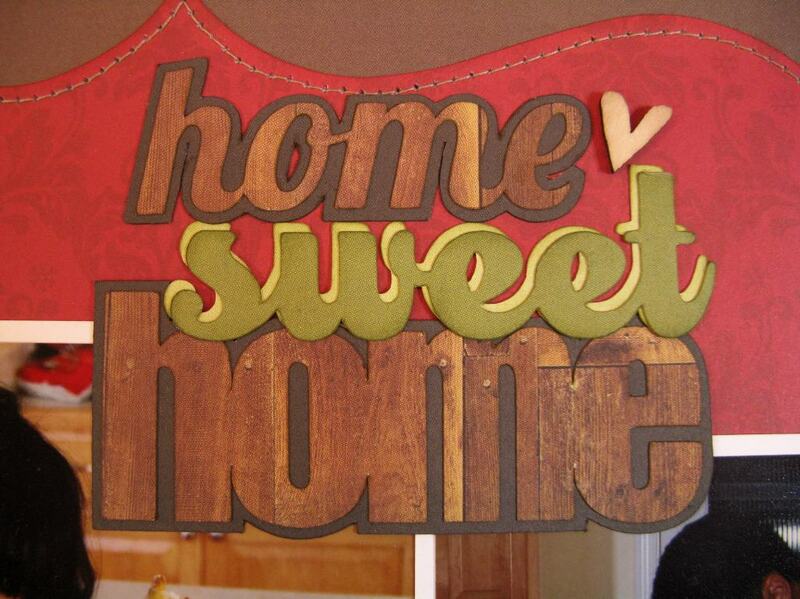 That woodgrain paper is perfect for this. Just adorable.